The Evangelion 2.0 movie program and Eva-Extra 04, both sold at the theatres during the 2.0 run, are now being sold at the Evangelion Store. According to the product description, both look to be the same as what was sold at the theatres. The 2.0 movie program contained lots of movie stills, some from the trailers, as well as an interview with Tsurumaki about the CG in the movie. It’s A4 sized, has a couple of centerfolds and has Evangelion Unit-01 on the cover illustrated by Takeshi Honda. The EvaStore is selling it for 1,000 円. Note that the movie program does contain 2.0 spoilers. 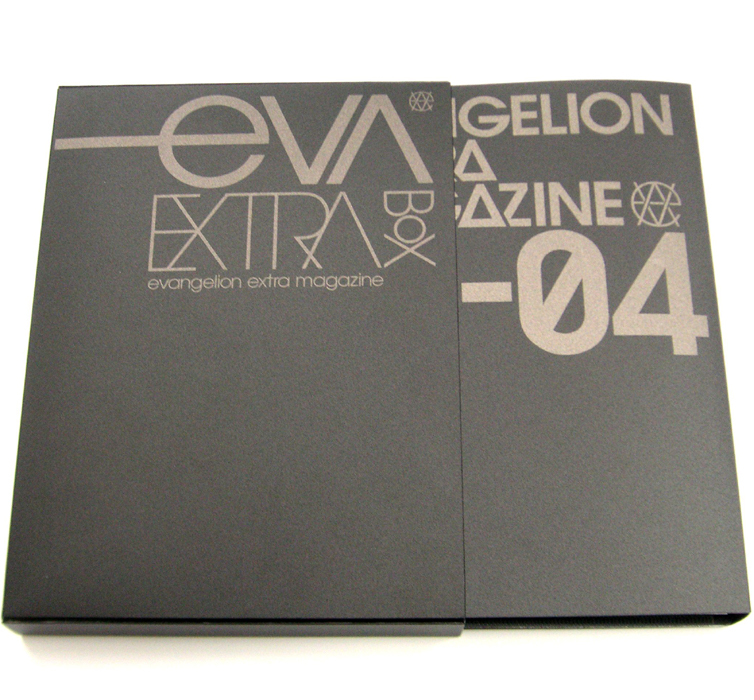 Eva-Extra 04 is a plastic bound with a plastic sleeve, 66 page version of Eva-Extra containing much of the images from the first 3. It also contains “pin-ups” with the previous Eva-Extra covers as well as some postcards. The EvaStore lists this at 1,300 円.